I’ve lived in Minnesota for most of my life. Aside from spending the first 3 years of my life living in New York, 1 year of my 20’s back in New York and 3 miserable years in Oregon, I’ve been a transplanted Minnesotan. That being said, I am ashamed to admit that I haven’t gotten to see as much of Minnesota as I would like. Turns out being a tourist in your own home state is trickier than you’d think. 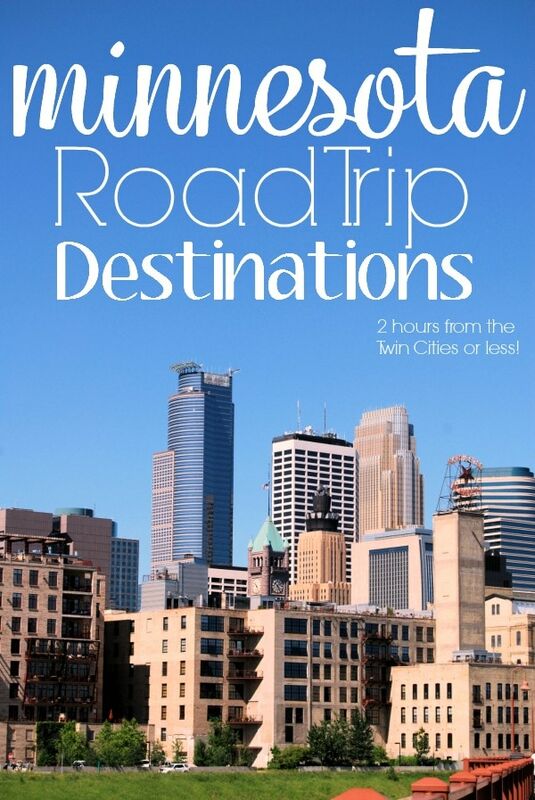 There’s SO many awesome Minnesota road trip destinations, but yet I have only been to a handful. I love a good road trip, so today I wanted to share with you some fun and mostly budget-friendly Minnesota road trip destinations. Whether you live in Minnesota, taking a fun family vacation or are in town for Superbowl LII in 2018, there are so many things to see and do, no matter what time of year you visit! We are totally gearing up for the Super Bowl in Minneapolis-hotels are booking up, places are frantically building and hiring workers, it’s going to be crazy around here. But while you’re in town, you’re gonna want to check out these local attractions both within the Twin Cities metro area and beyond. 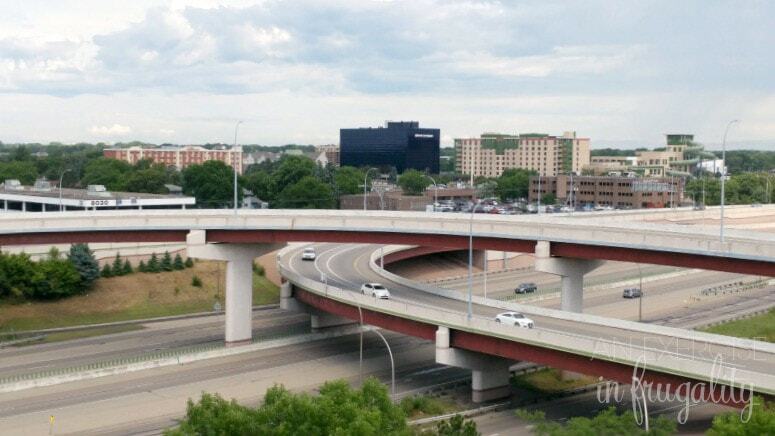 All of these road trip destinations are within 2 hours of the Twin Cities, so even if you’re only in town for the weekend, you can still enjoy some of the best attractions Minnesota has to offer. Ok, this one is a no-brainer. If you’ve never been to the MOA, it is definitely something you need to see at least once in your life. It’s quite impressive. 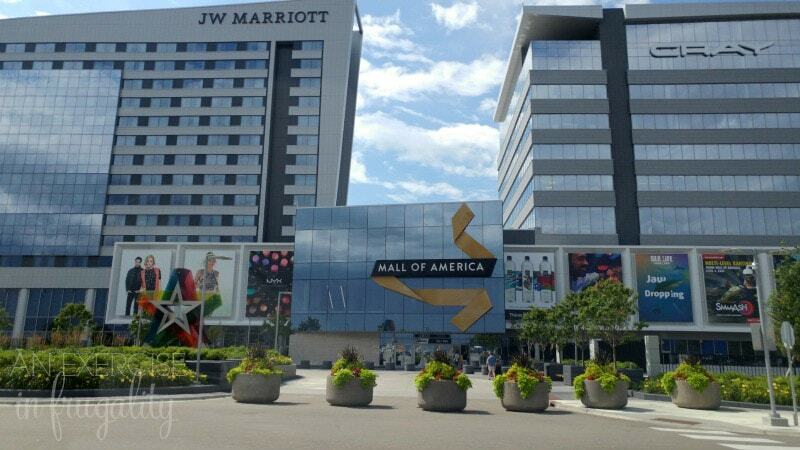 Us locals tend to get a big jaded-I’ve lived about 20 minutes from the Mall of America most of my life and so I sometimes forget how exciting of a place it is to out of town guests! There’s hundreds of stores, a full amusement park in the center, hotels, restaurants and (reopening in the fall) the largest waterpark in America across the street. Not to mention it is right next to the only Ikea in the state. 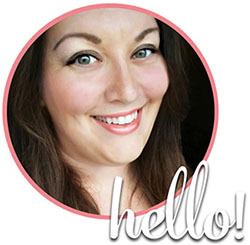 Oh, and did I mention there’s no sales tax on clothing in Minnesota? That is one of the reasons the Mall of America is such a popular shopping destination for tourists. I have been to Taylor’s Falls on a field trip once when I worked for the school district, but I would love to go back someday when I don’t have a group of 15 kids I’m responsible for watching. It’s about an hour outside the Twin Cities and a beautiful, scenic place to hike alongside the St. Croix River. You can camp there, or stay at an old jail that was converted into a bed and breakfast! See the world renowned Mayo Clinic-it’s the first and largest not for profit group clinic in the whole world, which makes it pretty special plus there’s been many medical discoveries made there over the years. There’s trolley tours of the city, Amish tours, and many mansions and local landmarks that are a blast to explore. I have been to Rochester a couple of times, but would love to go back to do some more exploring of this beautiful city. 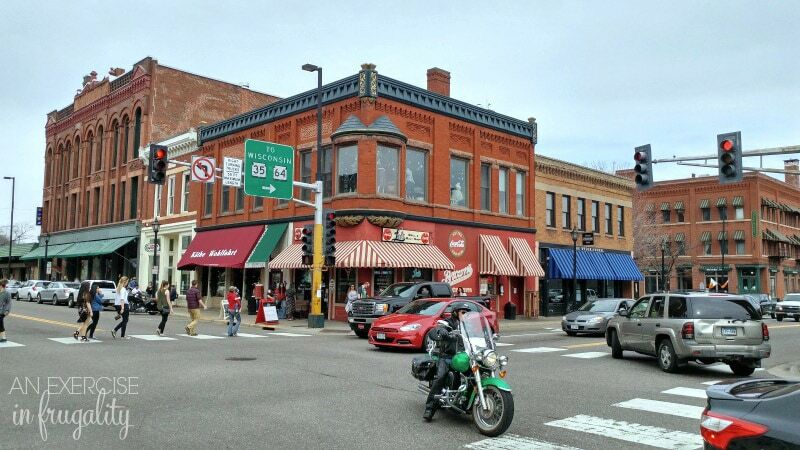 Recently, we took a little road trip down to Stillwater, Minnesota for the first time. I had never been there, and look forward to going back! The iconic Lift Bridge spans the St. Croix River, which is the border between Minnesota and Wisconsin. There’s countless shops, bars and bistros on the strip close to the river, plus lots of historic markers. And the drive is beautiful! Definitely one of the must-see Minnesota road trip destinations. While you’re there check out Teddy Bear Park, Aamodt’s Apple Orchard, Maple Island Brewing and Warden’s House Museum. Ok this one is a little vague, but gimme a break-we aren’t called the Land of 10,000 Lakes for nothing. In truth there’s actually over 15,000 lakes…so take your pick. If you asked 15,000 Minnesotans what the best Minnesota lake is, you would probably get 15,000 different answers. Some of the most popular lakes in Minnesota include Lake Calhoun, Lake Minnetonka, Lake Superior, Lake Mille Lacs, Lake of the Isles, Lake Nokomis and Lake Harriet. No matter where you’re heading off to, I wouldn’t be my frugal, prepared self if I didn’t recommend that you get your car road trip ready before you take off. 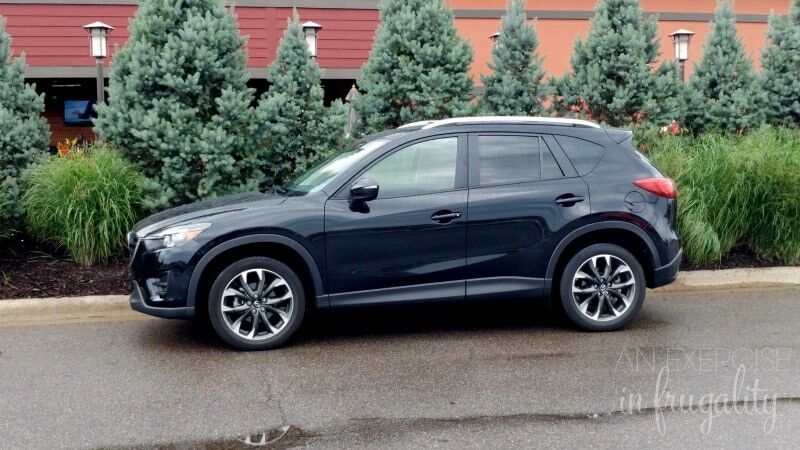 We just took our Mazda CX5 to Walmart for an oil change at their Automotive Care Center. I love the convenience of dropping the car off while I shop. I’m able to make one stop before we roll out of town to get the oil changed and grab all our road trip supplies in one place. We’ve always had our oil changed at Walmart, and we trust them because they do a great job, and there’s never any shenanigans. For the Mazda, we chose the Pennzoil Platinum®: Full Synthetic Motor Oil with PurePlus™ Technology because this vehicle is brand new. For our 2002 Honda Civic we get the Pennzoil® High Mileage Vehicle®. My Civic has over 236,000 miles and is still going strong! I don’t hesitate taking the Civic on long road trips either, because I know that with regular maintenance and oil changes with a synthetic oil designed especially for high mileage vehicles, that car is going to keep going for a lot longer than 236,000 miles. The Pennzoil High Mileage oil cleans out the sludge other oils leave behind, and helps to reduce leaks and oil consumption in older vehicles. 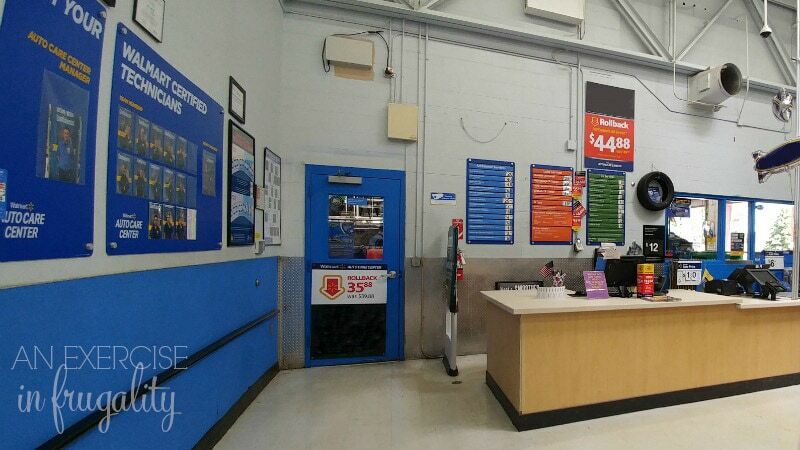 Check out the Walmart Automotive Care Center page to see the prices and info on the Pennzoil oil changes on Rollback at Walmart, and to find a location near you. Now that your car is road trip ready, you can hit the road! If your travels bring you to Minnesota, we’ll all welcome you with open arms. Don’t be afraid to ask a local about their favorite Minnesota road trip destinations-people here are notoriously nice and willing to share. What are your favorite Minnesota road trip destinations?